Ed Milliband’s speech on “Defending the Union” given at the South Bank’s Royal Festival Hall on June 7th was, in many ways, long overdue. Despite Tory protestations at being the prime defenders of the United Kingdom (although the ‘Unionist’ part of their title is actually a century-old reference to Ireland), their political decline in Scotland clearly makes Labour the leading party in any real defence of the status quo. The speech was competent, well delivered and, most importantly, long overdue. Almost certainly, unionists of all political stripes would have felt relief, if not encouragement, that the UK’s main opposition leader had nailed his Union flag firmly to the mast. Indeed, in it was much that thoughtful supporters of independence could warm to: the idea that being English/Scottish and British was no contradiction; that peoples of this island shared much common culture, pride and history; that how we work together here will determine all our future prosperity and happiness. It was widely reported, as it should have been, as a major statement on the subject. The Hootsmon chose, in its usual corrosive style, to lead on Ed’s argument that England ought to have a say in any independence deliberation for Scotland and that his own party has been guilty of burying English identity for fear of retreating into a “narrow nationalism: for too long people have believed that to express English identity is to undermine the Union.” Fair enough, but then he claimed that this year’s jubilee and Olympics had heightened awareness of “multiple identities”. And this seems to be where Ed (and many of his well intentioned colleagues) get themselves into difficulties, conflating geography with identity, past history with future ambitions and culture with politics. People are complex—their cultures are bewilderingly so. Yeats—no stranger to the complex path to independence—said “Out of the argument with ourselves, we make poetry; out of the argument with others, we make politics”. And, just as friendship or even marriage is a series of adjustments to the ideal, our imperfect political arrangements constantly balance ideals with pragmatism. A man who knew something about putting a Union together was Bismarck, whose “Politics is the art of the possible” has been a much-used quote since. No-one argues that Britain has not been a success as a country. For most of three centuries it was the world’s leading power. In contributions to science, technology, trade, culture, industry, arts, society, freedom, etc, etc it need bow to no-one. Its four peoples bonded together to catalyse many other greater and lesser countries, all of whom (with the glaring exception of Zimbabwe) are beacons of progress across the globe. Our joint history, especially when couched in resonant Churchillian prose, makes a rattling good read. But, equally, no-one now thinks of Eire as anything but a normal country AND, at the same time, a full partner in the English-speaking world, in the EU and even in the British Isles. Relations with the UK are superb; if there are any wrinkles they are found in that part of Ireland that Imperial Britain could not thole losing in 1922. Just as the Irish once wrestled with their own identity and own political existence, so the Scots and the Welsh are making excellent progress in this and—thankfully—in a more peaceable way. All of which leads to the discussion of England and its own identity and political existence. Here, Ed’s speech was much less surefooted. Without examining the case, he dismissed the need for an English parliament or even a discussion of what it means to be English, as opposed to British. This seems a major mistake. 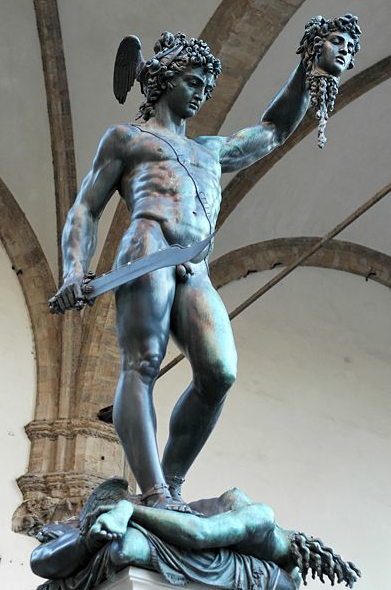 Labour Uncut has written a pretty shrewd analysis of the speech, in which it compares Ed to Perseus who, while talking cogently about the problem, evades entering the Gorgon’s cave to slay the Medusa of Englishness. It is not that the Scots should be touchy about all this—indeed, I think we have tholed three centuries of English jingoism with a fair bit of good humour. But the time has come to look England straight in the eye and ask what it wants to be when it grows up. That Scotland was already heading its own way was obvious in the 1987 General Election which Robin Day regarded as a non-event because the Thatcher majority shifted marginally from 140 to 100. And yet, Scotland voted massively against the Tories, who lost 11 of their seats there to have 10 in 71. Ed sees no need for an English Parliament because the 1990’s Labour initiative for regional assemblies got short shrift. That was because England is a pretty monolithic state—and always has been. Compared to Germany its regional politics are barely discernable beyond a habitual North/South divide based largely on industrial cities and rural idylls. Labour is now banking on that lack of concern locking in the status quo. But the constitution is lop-sided and unstable. It will actually take a force of will for it not to topple. It may not be in 2014 but it is by no means unimaginable that a strong argument for a political expression of Englishness will succeed beyond then. The Scots have done this. Our Medusa Gorgon is toast. In the last decade and as compared to the turbulent 1980’s, confusion about what it is to be Scots and how their political ambitions are to be realised has abated. What will happen in 2014 may still be an open question but most are up for asking it—even as they disagree on the answer—just because it will clear the decks and move a country the great majority identify with further down the road to its future; the fishermen of Fraserburgh and the Pakistani-Scots of Polloksheilds all accept this. But it’s a road England has yet to set off down. Feeling cosy after the jubilee warmth may not be the time to bring this up but, if not Ed, someone has to not just pose the question of Englishness but to boldly enter the cave where it lives and drag its severed head out into the light of day for all to see what exactly this was all about. This entry was posted in Politics and tagged independence:, independence; englishness; Ed Milliband. Bookmark the permalink. had a laugh at eds speech where he reckoned the poll tax had been a unifying event for england and scotland.